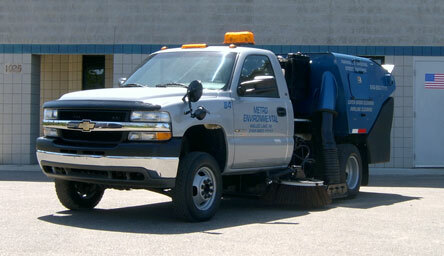 Metro Environmental Services offers both street and parking lot sweeping. Our sweeper fleet consists of: rear broom, vacuum, and regenerative air models. Our street sweeping services are ideal for construction sites, municipal roads, shopping centers, restaurants, apartment complexes, private housing communities, and emergency spill sites.